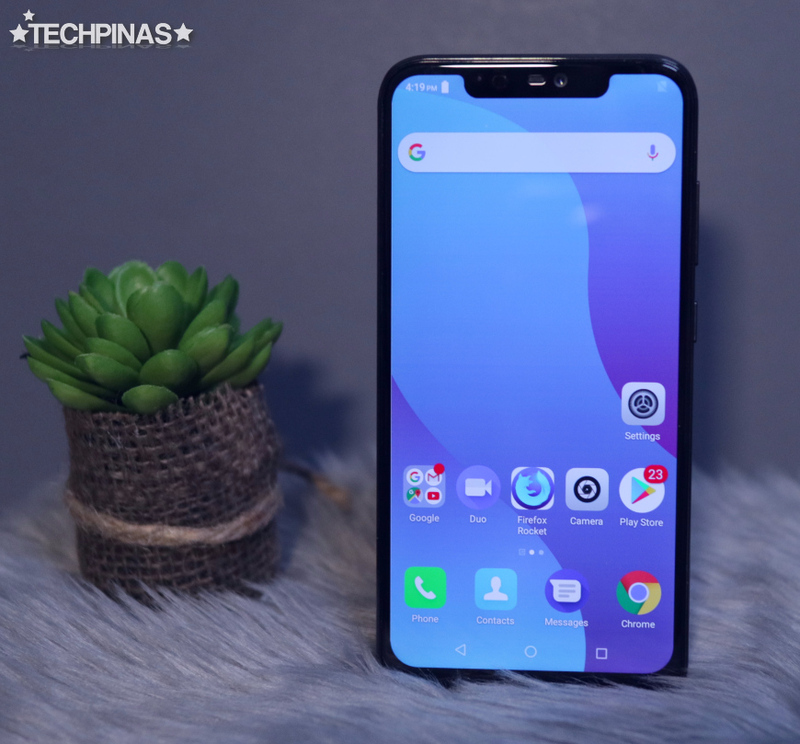 The leading Pinoy handset maker Cherry Mobile may have been a bit quiet in the past few months but that doesn't mean that they are scaling down their operations in the face of fierce and intense competition posed by Chinese brands. The truth is, Cherry Mobile was simply preparing for something big to wow its loyal fans who have been buying their Android smartphones from the very start. In fact, on Wednesday - September 26, 2018, I graced an invitation from our dear friends at CM to visit their Headquarters in Metro Manila to see for myself the grand product of their efforts to come up with great flagship smartphone for Q4 2018. The first time I saw and held the all-new Cherry Mobile Flare S7 Plus, I told Sir Lonson, Nico, and Elaine, that this model is easily the most beautiful handset that they've come up with so far. Sure, last year's Cherry Mobile Flare S6 Plus was already a headturner -- but its successor is definitely even more handsome. As you can see in these actual photos of the Cherry Mobile Flare S7 Plus, the handset's design language and build are reminiscent of what we see on the ultra-premium Apple iPhone X. In front, CM's flagship flaunts a 6.18-inch FullHD+ TrueView Display with tall 19:9 Aspect Ratio and rounded corners. The screen takes up almost the entire face of the device -- but it does have that polarizing notch, which has actually become a novelty feature on today's smartphones. Interestingly enough, the company had decided not to put their logo on this particular release. This is actually good for gadget users who don't like flaunting the brand of their devices. At the back, the CM Flare S7 Plus features a real glass curved panel that looks and feels luxurious and elegant. In the upper left corner, you will see an upright oblong design accent that houses the phone's two rear cameras. Near the middle, there's a Fingerprint Scanner - which works alongside the phone's Face ID facial recognition software - to add a veritable layer of privacy and protection. 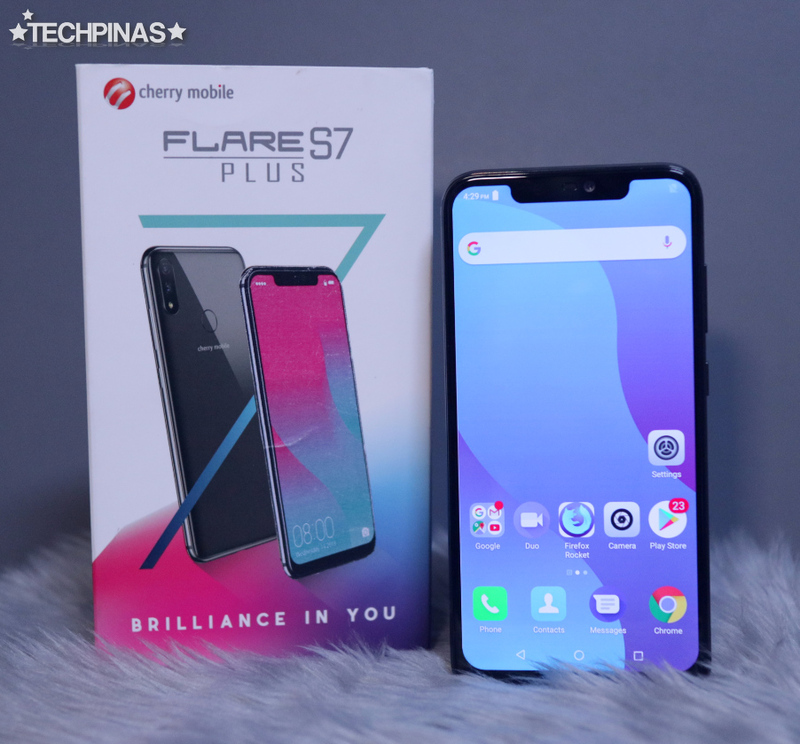 The handset's glass back plate is actually one of the features that enable Cherry Mobile Flare S7 Plus' Wireless Charging capability, which is a real treat for an Android smartphone in its price bracket. 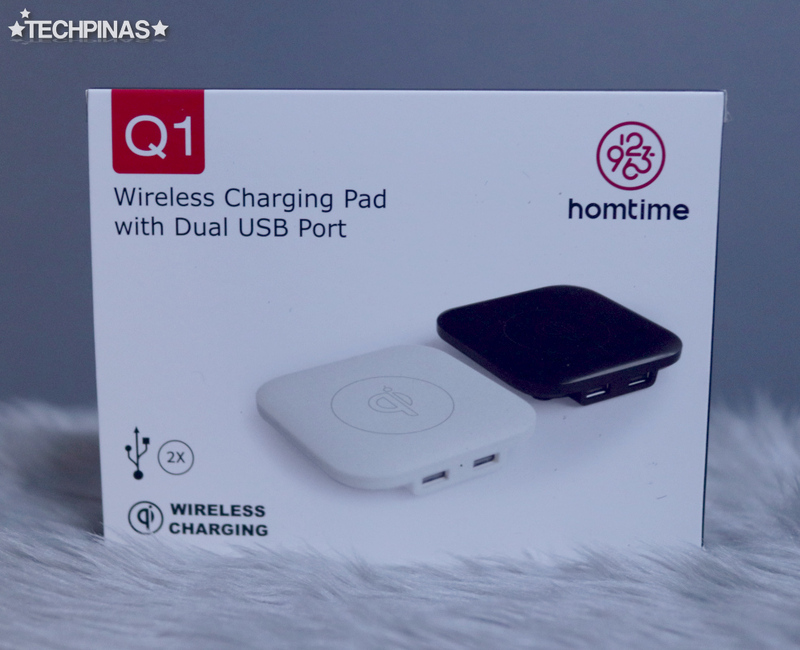 I was informed that Cherry Mobile fans who will pre-order this model come the first half of October 2018 will even get a free HomTime Charging Pad shown in these photos. With this accessory, you can charge the smartphone without wires. 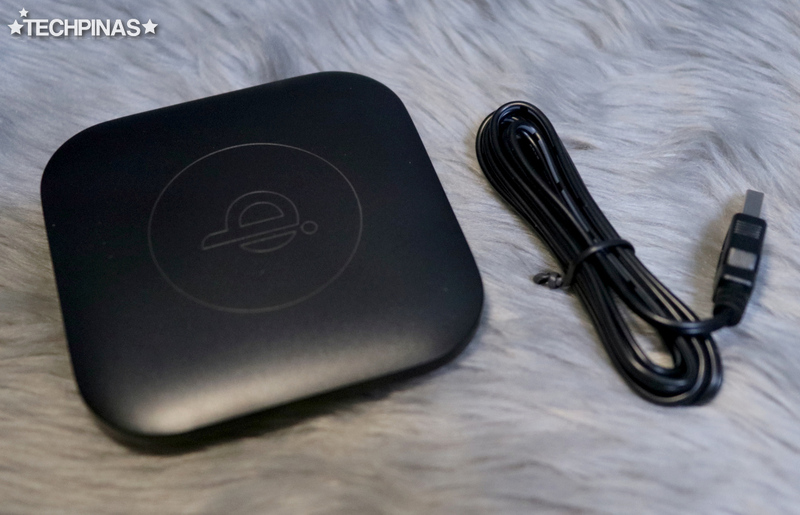 Just place it on top of the plate - connected to an electrical outlet via microUSB cable and travel charger - and it will already begin charging. It's totally convenient and easy. As for imaging capabilities, this model sports a 16MP + 5MP Depth Sensor camera combo at the back, which enables virtual Bokeh Effect for portraits and product shots wherein the background of the subject is beautifully blurred. In front, there's a 16 MegaPixel selfie shooter that's powered by the company's own beautification software. The front cam integrates the Face ID feature, which is made more accurate by the IR sensor that rests beside the camera within the notch. What about the internal hardware, you ask? Well, Cherry Mobile Flare S7 Plus is powered by the 12nm Octa-Core MediaTek Helio P60 processor with Mali-G72 MP3 GPU. This chipset allows the device to run the most resource intensive games that you can download from Google Play all while being big on energy-efficiency, which - in turn - helps the user get the most juice out of the phone's 3,050 mAh battery pack. The CPU is complemented by 4GB of RAM for smooth multitasking and 64GB of internal storage that can easily be augmented using the hybrid microSD card slot. 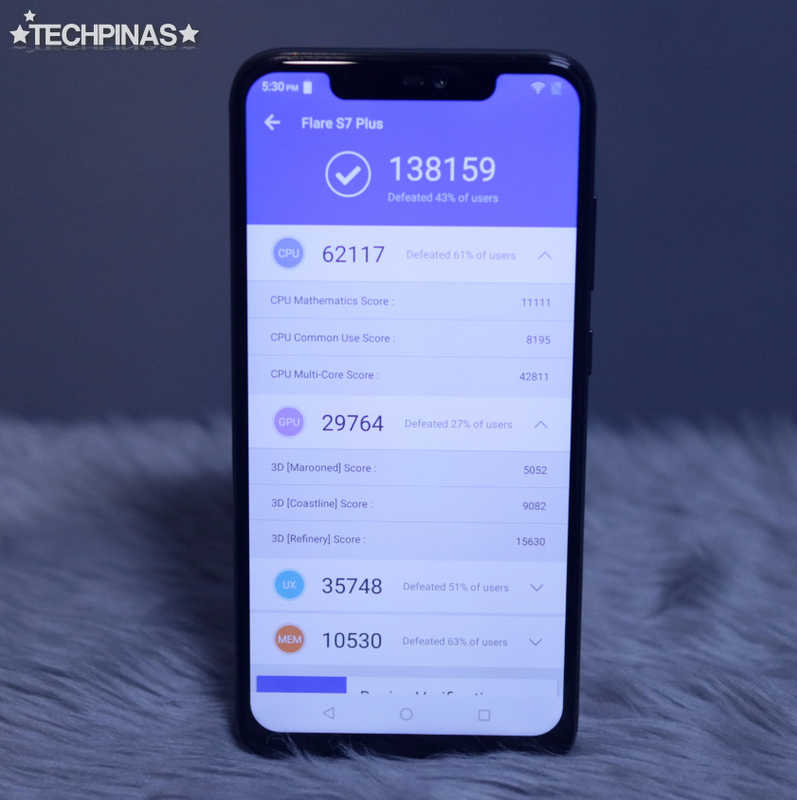 The combination of these innards gave Cherry Mobile Flare S7 Plus an Antutu Benchmark Score of 138,159 when I ran test on the handset earlier today, September 27, 2018. This high mark puts this model right up there with popular midrange Android smartphones by Chinese brands in terms of raw power and performance. 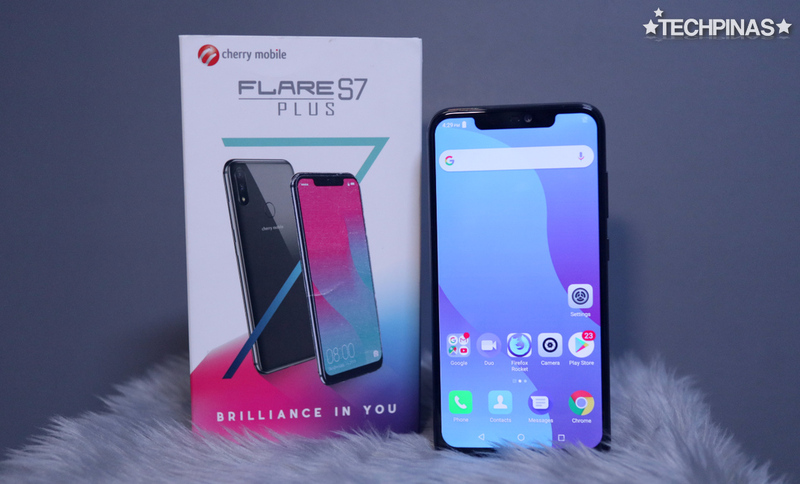 Cherry Mobile Flare S7 Plus will be officially announced in the Philippines alongside its stellar siblings in the new Flare S7 Series through a media and consumer event that will be held on October 12, 2018. Pre-Order should start on that day while the actual release date could very well be in the week after. Our friends from Cherry Mobile had already disclosed to me the expected suggested retail price of the Flare S7 Plus. However, they also asked me not to share it my readers and followers until October 12. 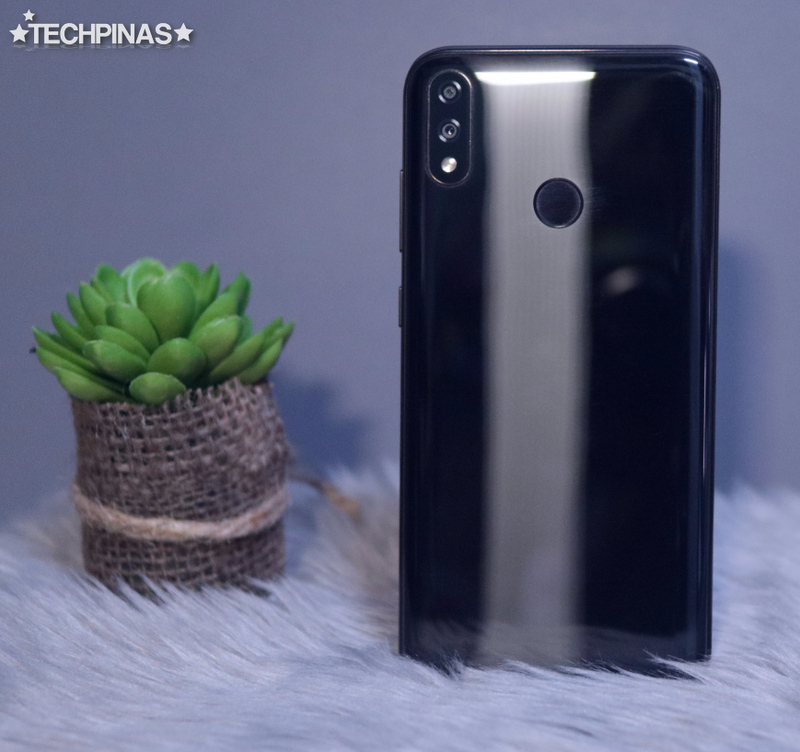 Off hand, all I can say is that this model will be priced well below PHP 15,000, making it a very enticing offer vis-a-vis the selfie-centric midrange Android smartphones of international brands.